US exports of crude oil have, since August 2018, continued to rise every month, with a new record high in January of 9.6 million tonnes. Exports rose in January on the back of increased sales to Europe, which rose from 2.7 million tonnes in December to 4.8 million tonnes in January. A strong end to 2018 meant that volumes for the full year totalled 87.4 million tonnes, 96.7% higher than the 44.4 million tonnes exported in 2017. This is good news for the crude oil tanker sector, with an additional 143 VLCC loads (300,000 DWT) or 287 Suezmax loads (150,000 DWT) needed in 2018 compared to 2017. In January, the Netherlands was the largest importer of US crude oil, beating Canada even when considering total and not just seaborne exports. South Korea, the biggest importer of seaborne crude oil exports in 2018, fell to fourth place in January 2019. Until the summer of 2018, China was the largest, accounting for 23.3% of all seaborne exports in the first six months of 2018, took nothing in January. “Although small volumes of US crude oil were sent to China in November and December, following a three-month pause in the trade, BIMCO did not take this as a sign that tensions between the two countries had eased, and were therefore not surprised by the lack of exports to China in January. A positive outcome from the ongoing trade negotiations is needed if this trade is to return to levels seen before the trade war,” says Peter Sand, BIMCO’s Chief Shipping Analyst. A drop in the share of exports to Asia meant that average sailing distances were shorter. Exports to Asia fell from 4.9 million tonnes in December to 3.2 million tonnes in January, with a large drop from South Korea (2.3 million tonnes in December to 0.8 million tonnes in January). After China stopped buying US crude oil when the two nations’ relationship soured, South Korea bought much of the crude oil that would otherwise have gone to China. Exports to South Korea rose by 318% compared to 2017, making it the largest buyer of seaborne crude oil in 2018. This limited the impact of the trade war on tonne mile demand for the crude oil tanker market. “The importance of Asia cannot be underestimated when considering how US crude oil exports impact the shipping industry. In 2018, 71.5% of tonne mile demand generated by US crude oil exports originated from exports to Asia. The sudden drop in exports to Asia in January was therefore particularly harmful to the crude oil tanker shipping industry. VLCC earnings rose to 53,121 USD per day in November, when vessels are being fixed for the following month, before falling again in January when tonne mile demand dropped,” says Peter Sand. 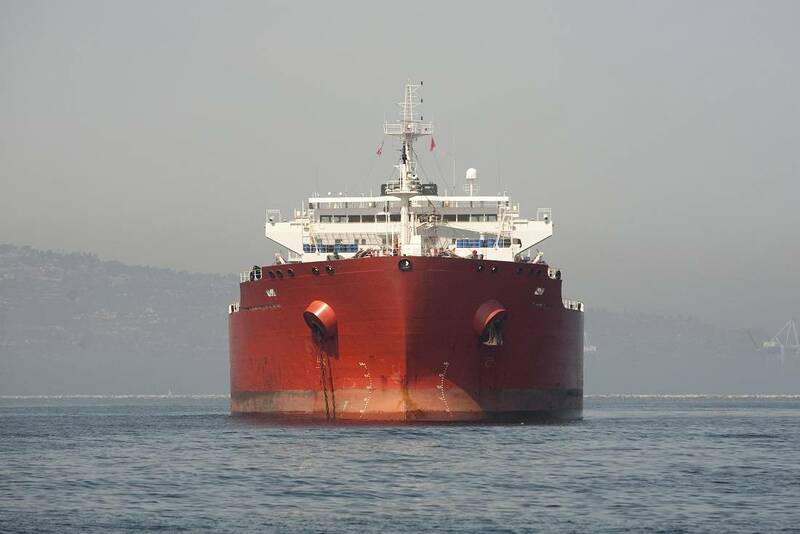 From Houston to the Netherlands, a ship has to sail around 5,000 nautical miles, while a trip from Houston to South Korea is around 15,500 nautical miles, tripling the distance and employing crude oil tankers for much longer. Having for many years been a net importer of crude oil, in its latest Short-Term Energy Outlook, the EIA forecasts that in the fourth quarter of 2020, the US will become a net exporter by 0.9 million barrels per day. This means that in the full year, the US will average net exports of 0.1 million barrels per day. In 2018, the US imported an average of 7.7 million barrels per day and exported 2 million barrels per day. US exports of crude oil have grown exponentially since the ban on exporting crude oil was lifted in December 2015. In 2016, Saudi Arabia exported 24 times as much crude oil by sea than the US, but in 2018 Saudi Arabian exports were only 4 times as high as US exports. In 2018, the US Gulf exported 97.9% of total US seaborne crude oil exports. Houston overtook Corpus Christi as the biggest crude oil export port, exporting 26.9 million tonnes and 23.3 million tonnes in 2018 respectively. Together, these two ports accounted for 50.2% of all US seaborne crude oil exports in 2018. There is currently only one facility in the US capable of fully loading a VLCC, the Louisiana Offshore Oil Port (LOOP), which was recently refurbished so that it could offload as well as load crude oil tankers, thereby catering to the growing demand for crude oil exporting facilities in the US Gulf. Further investments into the US Gulf to ensure its ability to meet the new demands, include terminals able to cater to VLCCs in Corpus Christi, expected to be ready by the end of 2020. Five other projects are being discussed, all designed to meet the requirements to cater to VLCCs and spread across Louisiana and Texas. “It is unlikely that all of these projects will see the light of day, but for the US to continue to increase its crude oil exports, these types of infrastructure investments, whether into onshore or offshore facilities, are needed,” says Peter Sand.